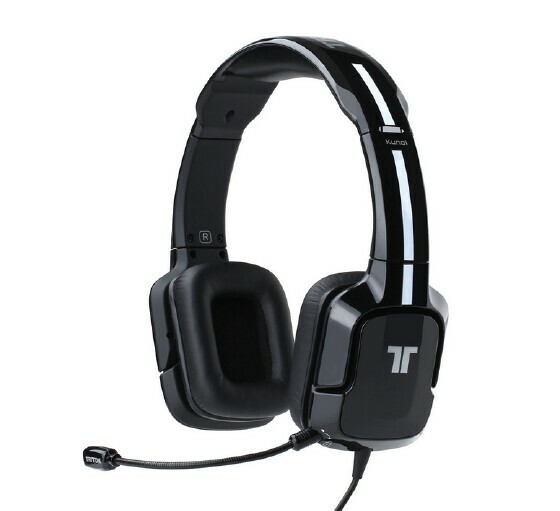 I have to say, I'm very pleased to have a second crack at Tritton; it's been a few years since I reviewed the heavy weight AX720, which I still use now and again. 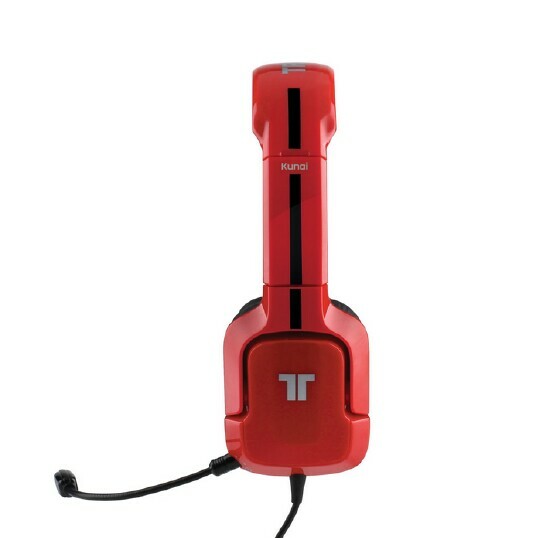 I'll admit, when I first heard about Mad Catz's acquisition of Tritton I was worried for the product line and for a period of time I thought I was right since there were no new headphones being released. As you know most companies will get the factory and the copyrights and go in a whole different direction. 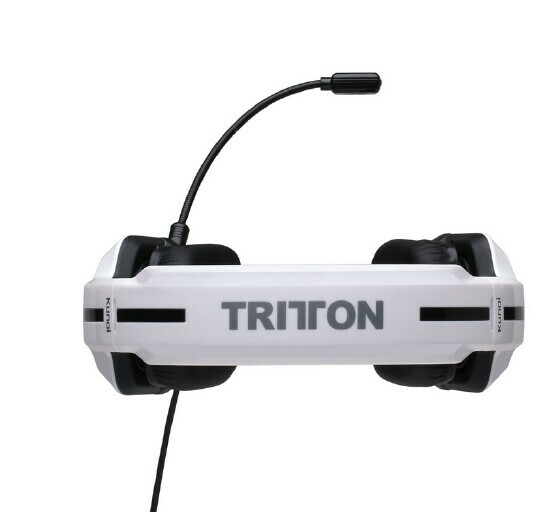 And thus far Mad Catz has helped in the evolution of the Tritton product. 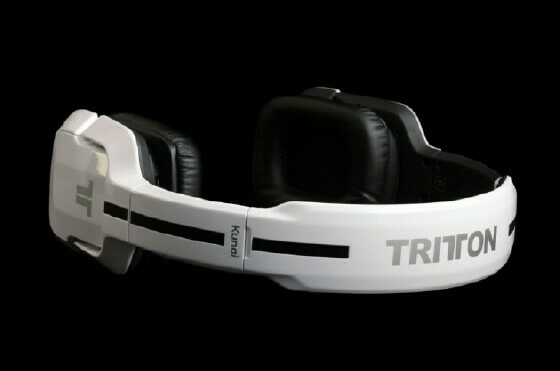 Let's see what the Tritton Kunai Headsets (for PC and Mac) are made of. At first glance, the packaging it looks clean and simple with the clear side giving you a preview of what you're buying. I can't tell you how many times I've opened a box and said, "Really, this isn't even close to the picture." I don't like tearing apart packaging but it wasn't easy getting into this one. But once inside, a pair of glossy black headphones awaited for my examination. In total, the Kunai comes in three colors; along with the gloss black there's gloss white and gloss red, with each one having either a black or white accented stripe. *I highly recommend that you spring for the Kunai Multi-platform. Once you start using it you will be thanking me. Once inside, they don't waste your time making you read a whole booklet as there's just one small pamphlet that pretty much says "plug in here". Putting them on for the first time, you will notice how light and flexible the wires are; I've tested headphones in the past with wiring so heavy and rigid that it felt like a neck brace. 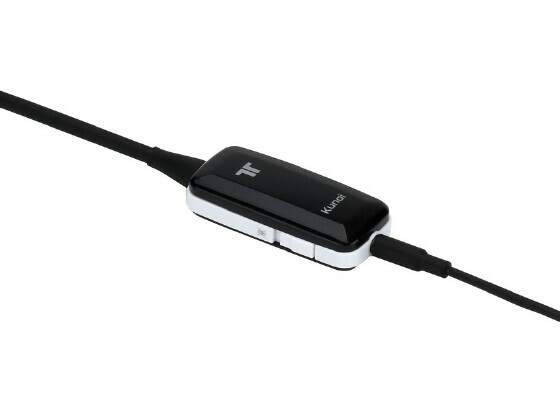 The adapters are also another feature that stood out; I can quickly disconnect my headphones from the audio controller and answer a call without having to interrupt my game. Everything on the Kunai is built for easy disconnect - even the mic when connected, it's un-intrusive, flexible, and after you're done one quick turn and it's gone. Now, let's move onto what rattles your drums - the Neodymium speakers. Most Trittons come with a 40mm speaker with a 16 Ohms resistance, the only exception I have found is the Warhead 7.1 with a 50mm. So far this choice has worked very well since they all pack quite a punch. Now when it comes to testing volume and clarity, I will admit I have never turned up any pair of headphones all the way up while wearing them, especially one with 106 DB. It's an outrageous amount! A jet engine at about 100' is 140 DB. So, if I can hear them clearly from 5 ft. away I think that proves it's loud. Impressed? Yes I am. As far as actual mic reception and clarity, I was very satisfied with the results. My first test was a low frequency chirp that I move 1 foot every five seconds until it can't record any more. I was able to get to about 16 feet and it still picked up sound, though clarity was lost after 12 ft. The second test was the same procedure with me speaking at a normal volume and clarity was lost about 8 ft. The last and more important was simple general use - asking my fellow gamers, mainly my WoW/Skype buddies if my voice was clear? And the response was a positive yes; my voice came across crystal clear. 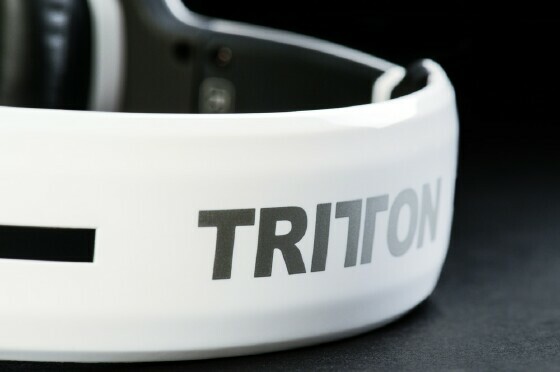 The thick pads around the speakers and head strap provide support and with the cups, they offer up big reduction from outside noise; I mainly use the Kunai for gaming indoors, but outdoors I've only used them once at the airport and it blocked out a lot of the surrounding sound so well that, I could see someone missing their last boarding call. 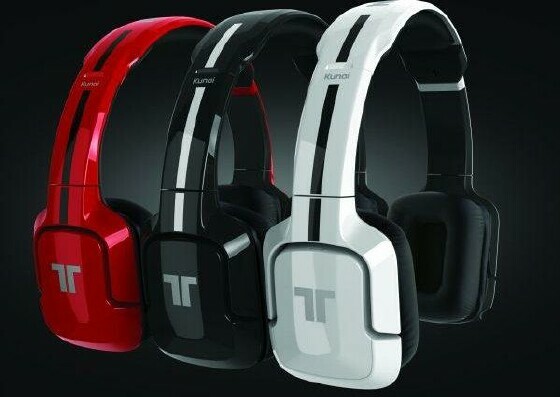 In the end Tritton's Kunai headphones offer superior sound quality and comfort in a small package, with the ability to walk out the door with them on without looking crazy. The most important thing for me is the weight as most gaming headphones are heavy, some you can deal with, but after a few hours you feel it. The Kunai offers amazing sound while being light and flexible. They're stylish and small enough for at home use or even on the go. 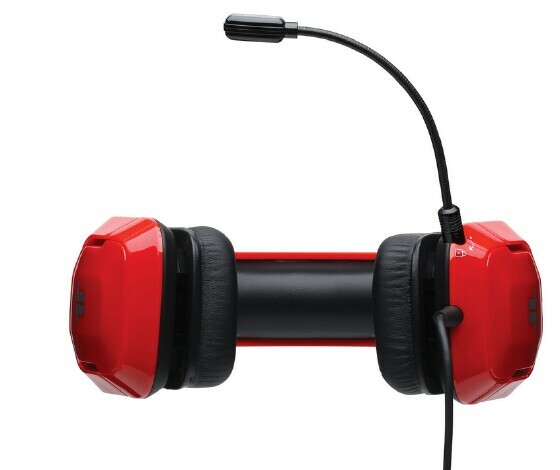 As gaming headsets go, they work great; while not a 5 or 7.1, they do a great job handling the left/right positions. Explosions, sword clashes, and even the sound of a babbling brook all came across crystal clear. Outdoors, listening to music, again amazing clarity; the bass and treble felt just right and very well balanced. The speaker housing swivels 90 degrees so they sit flat around neck, giving me free head movement when not in use. And I can still hear whatever I'm listening too perfectly clear. So, in a world of noise cancelling headphones and ear buds on the market, the Kunai puts on a great show and for the price and comfort, I will be retiring my previous travel headset in favor of these babies. Why are the Xbox and PS3 wires sold in a different package? The wiring system is so great; why not just make them all multi-platform? The Slack: Why can't it just be multi-platform?